Mike Nelson is the Horn Professor at Montana State University, Principal Horn of the Bozeman Symphony Orchestra, and Hornist with the Bobcat Brass Trio. He also serves as Third Horn for the Billings Symphony Orchestra and regularly performs solo and chamber concerts, as well as with other orchestras across the Northwest. Mike was formerly the Principal Horn of the Great Falls Symphony Association and the Chinook Winds Quintet, with whom he toured extensively to bring a special fusion of classical and other genres to both urban and rural communities across the region, plus master classes, band workshops, and other educational programs. The Chinook Winds recorded a full episode for MontanaPBS’s Emmy-awarded 11th and Grant with Eric Funk that aired in January 2016 and is available online. In addition to modern horn, Mike is also skilled in historical performance practice and performs on instruments ranging from the Baroque period all the way to post-World War II France. These instruments include a Classical valveless natural horn that he built with world-renowned horn soloist and historical performance expert Lowell Greer. 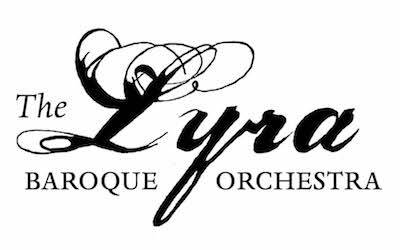 Mike has performed with the Lyra Baroque Orchestra in Saint Paul, Minnesota, and as part of the Oregon Bach Festival. He especially enjoys giving short talks and demonstrations to new audiences as they experience a different world of sound closer to what composers like Bach and Mozart imagined as they wrote their masterpieces. Mike was honored to present natural horn and the evolving role of horn in the wind quintet at the 2015 International Horn Symposium. Mike holds degrees from the University of Cincinnati College-Conservatory of Music, where he studied with Randy C. Gardner, and the University of Florida, where he studied with Paul Basler. His historical performance teachers include Lowell Greer and Andrew Clark.